The Grand Victorian offers several locations to accommodate small gatherings of your friends and family while you stay at your home away from home. 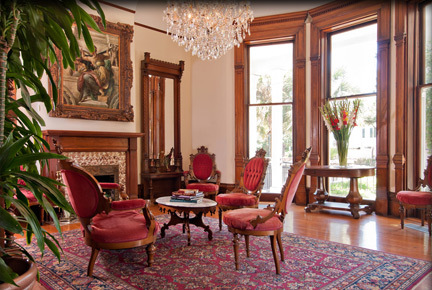 Our New Orleans Garden District bed and breakfast is one of a kind. 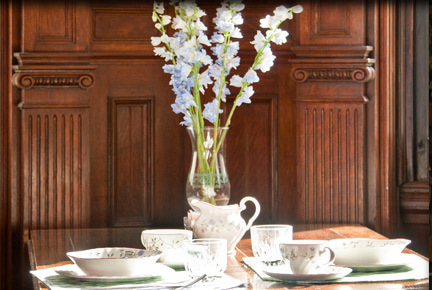 Our historic Victorian parlor is a popular place to relax at the house. Its giant floor to ceiling windows allows guests to overlook the “Avenue” in Uptown New Orleans! The chandelier will mesmerize you. A library of books to borrow and games to play await you. 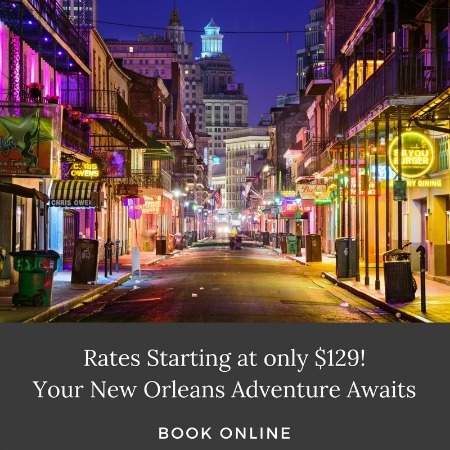 Enjoy the moment and catch up with old friends or make new ones as you take a break from the fun and exciting things to do in New Orleans. Our dining room is open all day after breakfast for your afternoon or evening for guests with tables to play cards, check email from home or visit with family and friends. Snacks, fresh fruit, bottled water plus hot beverages are available anytime in the dining room for your enjoyment. Complimentary soft drinks, ice, wine glasses, corkscrews, and ice buckets are available at our second floor concierge area. Our architecturally significant porte cochere balcony has the best views in the house with wrought iron tables and chairs for lounging with a glass of wine or a good book. It’s the perfect Mardi Gras parade viewing spot around! Watch the world go by as you relax under the canopy of old oak trees in our bed and breakfast in New Orleans in the beautiful Garden District.